Nepal tour is full of excitement and natural beauty which comprised surprised things for you. The tour Comprises of Kathmandu sightseeing, Nagarkot sunrise view, Trisuli rafting, Pokhara sightseeing, Jungle safari in Chitwan. Nagarkot is small hill station popular for sunrise & sunset. And it is only 35 km from Kathmandu valley. It is situated on 2175m from sea level. Then we drive to Trisuli River for thrilling rafting & overnight at pokhara. 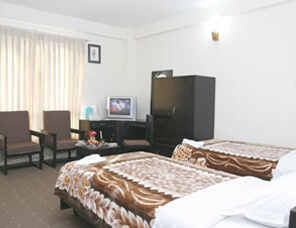 Next day we will do sightseeing in dedicated tourist spots and overnight at lakeside in hotel. Pokhara is known for lakes and beautiful Himalayan ranges. For jungle safari, we will drive to Chitwan National park, overnight at hotel and next full day jungle safarisafari with experience English speaking nature guide.Next day early morning drive back to kathmandu and continue sightseeing in Pashupati temple and Boudhanath estupa with English speaking tour guide. leisure day explore yourself in shopping complex to buy something for your family. 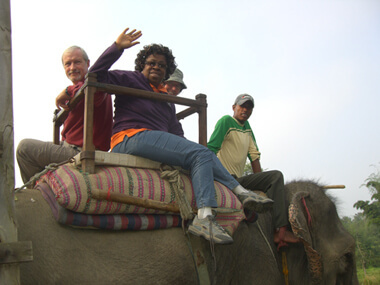 Activities: Sight seeing, jungle safari, panoramic views of Himalayas. Boudhanath is a huge Buddhist stupa located about 7 km east of Thamel. It stands on a massive mandala style platform and has features similar to the Swayambhunath, though it is bigger than Swayambhunath in size. It is said that this stupa was built during the 5th Century. Every year, Thousands of pilgrims from Nepal and neighboring countries visit Boudhanath, particularly in winter and Pashupatinath temple. Pashupatinath temple is the biggest Hindu temple. Over night stay in hotel. After having breakfast we will drive to hill station Nagarkot for sunrise and sunset view. On the way we will make sightseeing in third old town bhaktpur sucha as 55 windows palace,Golden gate, Taleju Temple and Nyathapola temple. Over night stay in hotel. Early wake up call is given by the hotel staff to enjoy the sunrise. Have panoramic views of Himalayas from the hotel tower, then we drive back to Kathmandu. Over night stay in hotel. After breakfast, we take a quick tour of Bird watching. Then we drive to Kathamndu. Drive to Kathamndu. Over night stay in hotel.